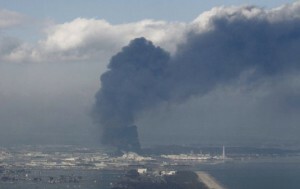 Fukushima nuclear power plant disaster, 2011. Environmental Science is a multifaceted interdisciplinary study of how we humans interact with the living and non-living parts of the natural world. The three main goals of environmental science are: to learn how the natural world works, to understand how humans interact with the environment, and to find ways to deal with environmental problems and live more sustainably. Employment of environmental scientists is projected to grow by 19 percent by 2020. Heightened public awareness in environmental issues, as well as the increasing demands placed on the environment by population growth, are expected to spur demand for environmental scientists and specialists. At Bellevue College, Environmental Science is one of five sciences that comprise our Earth and Space Sciences Program (the others are Astronomy, Geology, Oceanography, and Meteorology).